Cabernet Franc is one of three main grapes used in Bordeaux wine blends. The grape reaches its best expression and potential in the limestone soils found in the Bordeaux wine appellation of St. Emilion. Pomerol also offers fertile soils for the varietal. Cabernet Franc is planted with varying degrees of success in other French wine regions; for example, the Loire Valley. In fact, the Loire Valley is where Cabernet Franc first became popular during the 1600’s. It at least 100 more years before plantings of Cabernet Franc began to appear in Saint Emilion and Pomerol. While Cabernet Franc first earned its popularity in the Loire Valley in the 1700’s, when it was known by its original name, Bouchet, perhaps its greatest claim to fame is due to the fact that it gave birth to Cabernet Sauvignon after it was crossed with Sauvignon Blanc. It has continued gaining in popularity in America with its best success taking place in California in the Napa Valley, Washington State and Oregon. 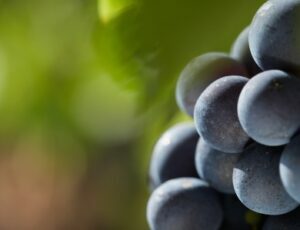 Cabernet Franc is also planted in other wine producing countries including: Italy, (in Tuscany in the Bolgheri wines as well as in Friuli), Spain, Australia, New Zealand, Argentina, Chile, Hungary, Canada, Bulgaria, Croatia and most recently China. In most of those countries, Cabernet Franc is used more often than not as a blending grape. Few wineries outside of the Lorie Valley and America seem to have produced successful wines from 100% Cabernet Franc. More often than not, the fruit is blended with other grapes. Cabernet Franc is less popular today than it was at the start of the 20th century. At that point in time, almost as much vineyard land was devoted to Cabernet Franc as it was to Cabernet Sauvignon. That being said, Cabernet Franc still remains one of the world’s top 20 most popular grape varieties. In fact, Cabernet Franc is so popular, the grape has its own holiday, International Cabernet Day is celebrated every August 30. Cabernet Franc shares DNA with Cabernet Sauvignon. But there are numerous differences between the grapes. Cabernet Franc ripens earlier than Cabernet Sauvignon. On average, Cabernet Franc will ripen about one week before Cabernet Sauvignon. This makes the grape better suited to slightly cooler climates and cooler vintages than Cabernet Sauvignon. Cabernet Franc performs best in stone and chalk soils as well as in sandy terroir. Perhaps the grape earns its highest accolades from the wines produced at Chateau Cheval Blanc and Chateau Ausone, located in the Right Bank region of Bordeaux. With global warming, more land is being devoted to Cabernet Franc in Pomerol and Saint Emilion these days. Not as fleshy as Merlot and with less tannic structure than Cabernet Sauvignon, this deeply colored, thin skinned berry offers floral, plum, blackberry, cassis, spice and fresh herb or leafy aromas and flavors when ripe. When not ripe, it’s possible to find green pepper or other green vegetal aromas. Wines with a healthy portion of Cabernet Franc can be difficult to taste and assess when young. Cabernet Franc is a food friendly wine. There are numerous ways you can easily match Cabernet Franc based wines with food. For a few tips, try it with roast chicken, pork, roasted or grilled, beef, duck, sausage, lamb, veal, hearty fish dishes and even hard as well as soft cheese. The Right Bank regions of Bordeaux maintain the highest concentration of Cabernet Franc plantings, where the variety is used as a blending grape with Merlot. Cabernet Franc is also planted in the Left Bank along with Cabernet Sauvignon because when blended together, they produce extraordinarily complex and elegant wines, as each grape variety compliments the other. In Bordeaux, the wine featuring the highest proportion of Cabernet Franc as part of the blend is 1990 Le Petit Cheval, the second wine of Cheval Blanc. That wine features a record setting 98% Cabernet Franc! This is followed by 1998 Petit Cheval at 86% and 2003 Petit Cheval with 77%. There are a few Bordeaux wines produced from 100% Cabernet Franc as you will see below. In Pomerol, the highest concentration of Cabernet Franc is probably found in 2010 Chateau Lafleur, which used 62% as part of the blend! This is followed by their 2009 wine with 53% Cabernet Franc. On average, it’s always close to 50% of the blend. More Cabernet Franc is planted in Saint Emilion than in any other Bordeaux wine region. The following list of properties showcases most of the better-known Bordeaux chateaux from St. Emilion with a high percentage of Cabernet Franc planted in their Bordeaux vineyards. I was quite surprised to discover there is one other Saint Emilion wine that is produced from 100% Cabernet Franc. Chateau Belle Assise, located in the St. Sulpice sector of the appellation is made from 100% Cabernet Franc. David Stannard recent began producing Paradise Rescued using 100% Cabernet Franc from vines grown in Cardan. In Cotes de Castillon, Chateau de Pitray makes a Cuvee Cabernet Franc, and in the Cotes de Bourg, Chateau Civrac also produces a wine from 100% Cabernet Franc. The award for the most unusual 100% Cabernet Franc wine goes to Chateau Le Bel. Situated in the Montagne Saint Emilion appellation, Chateau Le Bel makes a 100% Cabernet Franc wine that is a three vintage blend! Below you can read a listing of the St. Emilion vineyards with the highest percentages of Cabernet Franc, (CF) in their plantings. The actual percentage used in their blend can be higher or lower than their plantings, depending on the vintage. Cheval Blanc varies from vintage to vintage, but is usually close to 50% CF. Today, it is at 49% CF. According to the chateau, there is never more than 56% CF in the blend. The highest use of Cabernet Franc in Pessac Leognan is probably Domaine Allary Haut Brion, which is 60%. Domaine Allary no longer exists. This is followed by Les Carmes Haut Brion which hovers close to 40%. Far less of this grape is used in the Medoc, which on average ranges from 0% – 20% of the blend. Cabernet Franc is widely used in Cotes de Castillon. Joanin Becot includes 25% in their wine. In the St. Emilion Satellite appellation of Puisseguin, Croix de Justice uses 50% of the grape in their blend. Cabernet Franc is an important varietal for many chateaux with a Bordeaux Superieur classification. For example, Domaine du Bouscat uses 25% in several of their wines.